Come explore the beautiful Salmon River with us on one of our Oregon coast kayak tours in Lincoln City Oregon. The Salmon River estuary lies within the historic Cascade Head Scenic Research area. The first scenic research area designated in the United States. 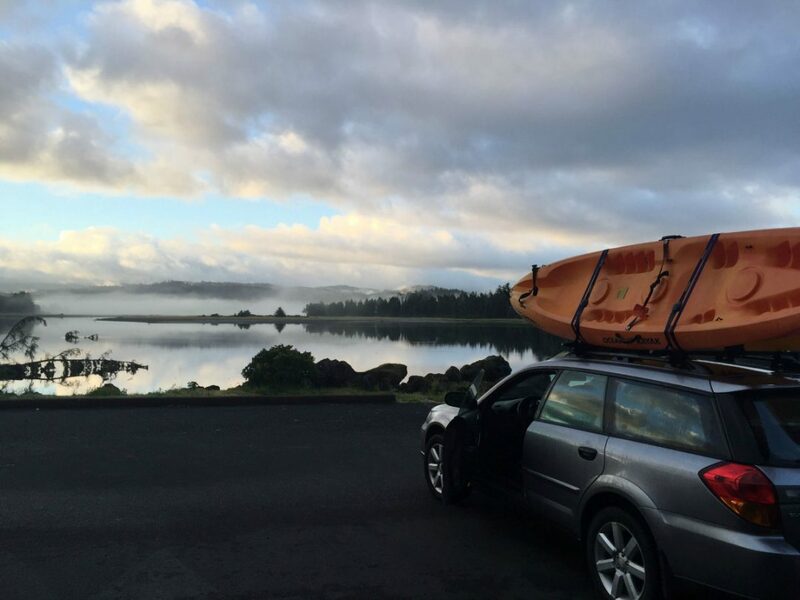 Safari Town offers Oregon coast kayak tours at the beautiful Salmon River mouth just north of Lincoln City Oregon. The Salmon River runs into the mighty pacific ocean just a few miles north of Lincoln City. Come and explore all the beautiful scenery and wildlife that may include seals, sea lions, river otters, bald eagles, pelicans, peregrine falcons, herons, egrets, and countless other shorebirds, along with some amazing scenery and breath taking views. We offer 2, or 3 hour guided kayak tours at the mouth of the Salmon River and up and around the Salmon River Estuary in Lincoln City Oregon. 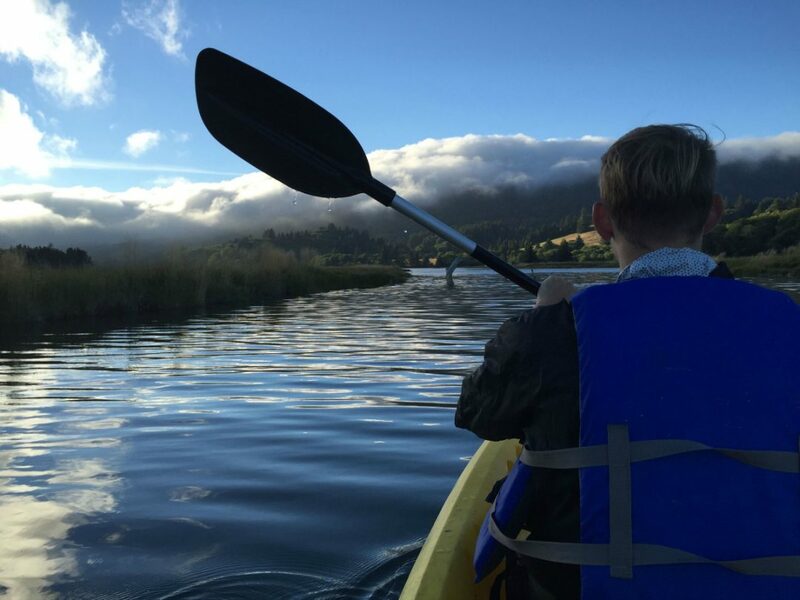 Kayak tours are available March through October and are subject to availability and weather conditions. We have a two person minimum for all kayak tours. Feel free to call the shop to schedule your tour or for more information. Beginner and first time kayakers are welcome. See restriction below. 2 Hour Salmon River Kayak Tour (2 Person Minimum) $99.00 / Person BOOK NOW! 3 Hour Salmon River Kayak Tour (2 Person Minimum) $139.00/ Person BOOK NOW! 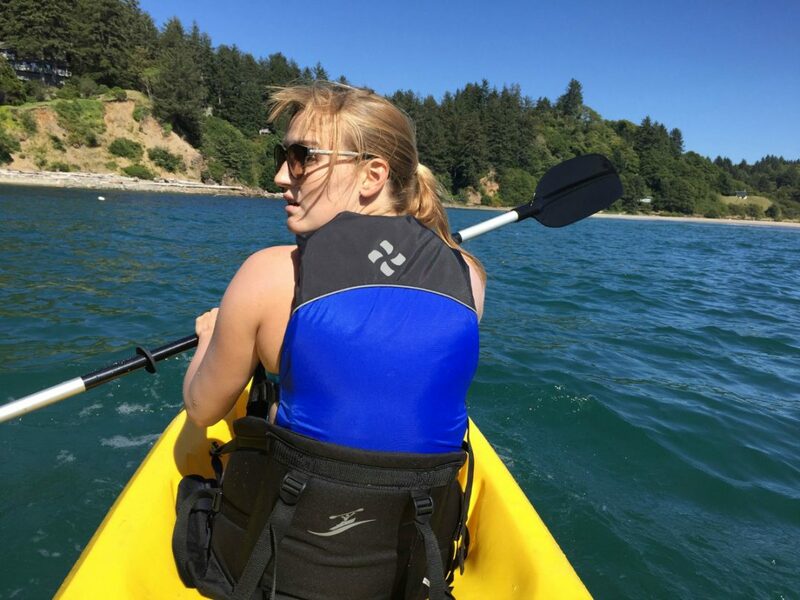 Our kayak tour guides are all experienced water-man and are registered guides with the Oregon State Marine Board. They are also trained and certified with the American Red Cross in First Aid/CPR/AED to help insure your safety. 2 Hour Salmon River Kayak Tour (2 Person Minimum) $99.00/ Person BOOK NOW! Tour Openings: Subject to availability and weather conditions. Book early to confirm availability! Weather conditions can change quickly on the Oregon coast, so we recommend being prepared for everything. Participants will get their feet wet, so bring sandals, water shoes, or wetsuit booties for walking in the water and on rough terrain. We also recommend quick drying shorts, a moisture wicking fleece top, a windbreaker, and a stocking cap to keep your ears warm. If you get cold easy you may want to wear one of our shorty wetsuits. Just make prior arrangements before your kayak tour. We also offer rental neoprene gloves, and booties available upon request. We recommend everyone bring a water bottle and a light snack. Our kayak tours operate rain or shine, so it’s best to bring a dry set of clothes to change into once your tour is finished. Our guides are very good at navigating to the calmer areas, but they can’t control the wind and chop, so there is always a possibility you may get wet. If you’re worried about getting wet just ask for a shorty wetsuit and that will help you keep warm even if you get wet. If you bring a camera or cell phone make sure to have a water proof case, or small dry bag to keep it dry and protected. We also recommend a good quality sunscreen as the sun reflects off the water. Get more tips on what to wear kayaking here. The tour guides will meet you at Knight Park off of Three Rocks Rd and they will bring the kayaks, seats, paddles, life jackets, invasive species permits, and wetsuits if requested. We will also bring a dry bag for your miscellaneous belongings. We have a Strict 72 hour cancellation policy, and require a minimum of 72 hours cancellation notice before your scheduled tour. Cancellations after the 72 hour limit, or no shows will be charged the full amount. We schedule and reserve your tour time and block other customers from reserving and scheduling after we have taken reservations. Therefore we must keep a strict 72 hour cancellation policy. This policy protects our customers by guaranteeing their booking, and protects our tour guides from late cancellations and no shows. 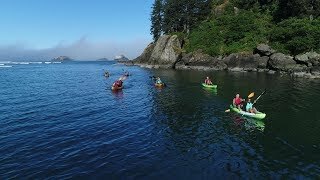 Participants should be in good health and free from any heart conditions, back, or neck problems, or anything else that would hinder them from paddling a kayak. 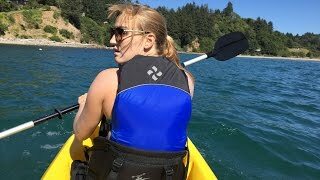 Ocean Kayak user weight limits. 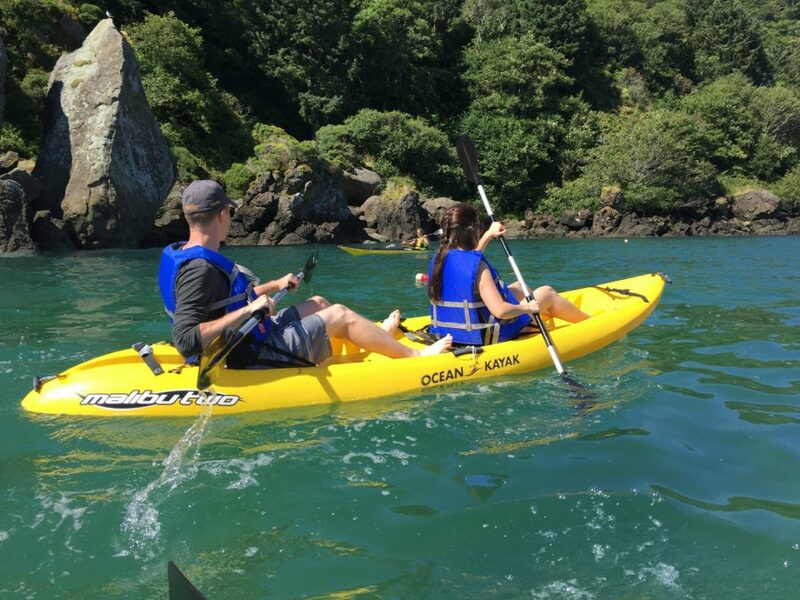 Note: Heavier participants can make prior arrangements and request to have a tandem kayak seated for one person as long as they don’t exceed the recommended weight capacity of our Malibu 2 Ocean Kayak 375-425 lbs. This is subject to kayak availability. 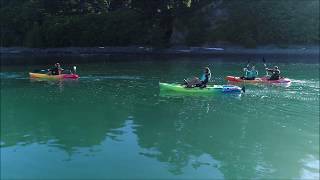 Lincoln City Kayak Tours are available on a first come first serve basis. If you have a trip to the Oregon coast planned reserve your dates early for best availability. 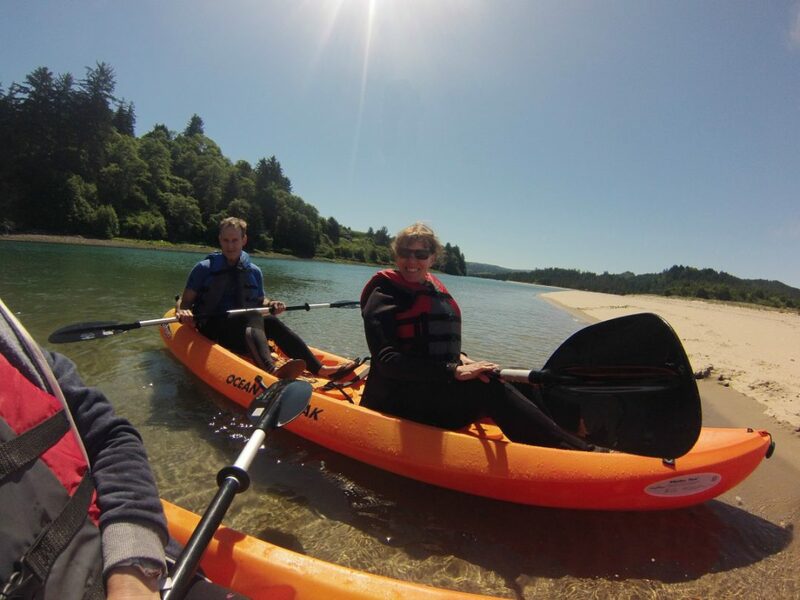 Our Oregon coast kayak tours can fill up and are tide dependent, so that limits the number of tours we can do each day. Looking for fun and exciting things to do in Lincoln City, Oregon? Well Just a few miles north of Lincoln City is a magical place where time seems to stand still. 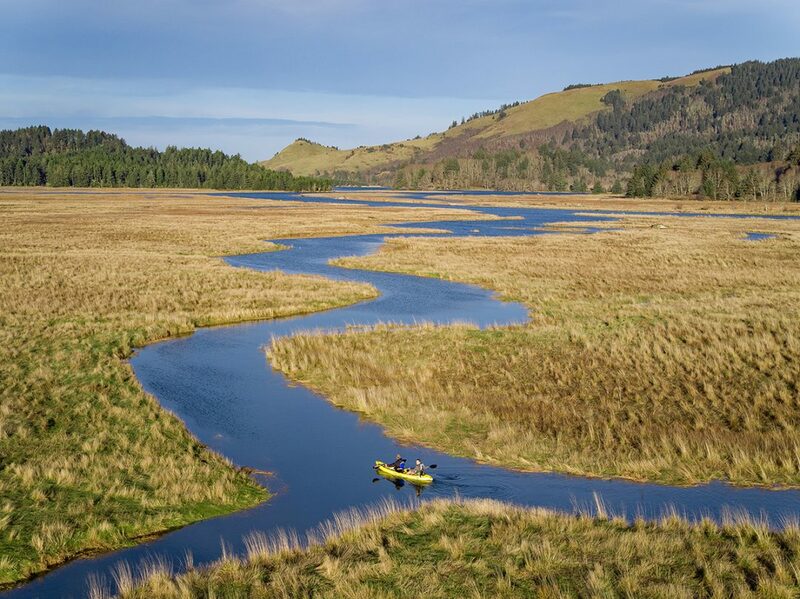 It's a peaceful place known as the Salmon River Estuary where you can leave your worries and stress behind and see the Oregon Coast up close and personal. 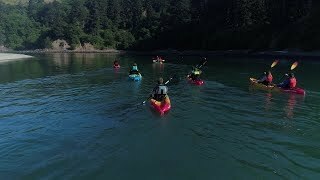 2018 Kayak Tours of the Beautiful Salmon River Estuary in Lincoln City Oregon with Safari Town Surf. 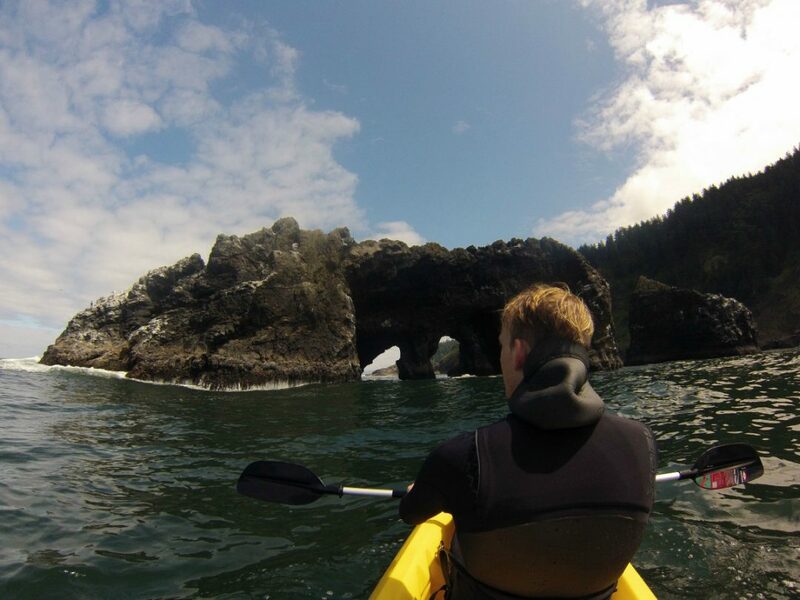 Experience The Oregon Coast up close and personal on a guided kayak tour with Safari Town Surf Shop. 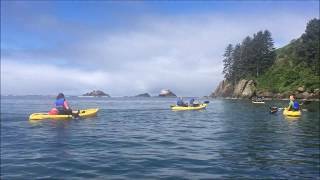 We offer guided kayak tours on the central Oregon Coast in Lincoln City, Oregon. Call Safari Town Surf Shop today 541-996-6335 or visit us online to book your next Lincoln City adventure. Safari Town Surf Shop offers guided kayak tours on the central Oregon Coast in Lincoln City, Oregon. Call Safari Town Surf Shop today 541-996-6335 or visit us online to book your next Lincoln City adventure. 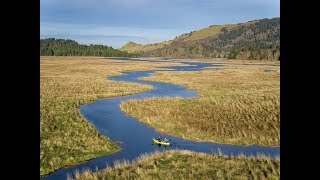 Kayak Tours at the Salmon River Estuary just a few miles north of Lincoln City Oregon. 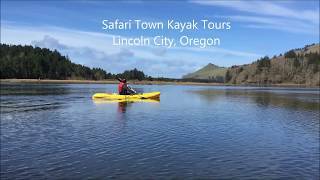 Safari Town Surf offers kayak tours of the Salmon River Estuary in beautiful Lincoln City, Oregon. Book your kayak tour today & come explore with us! I got to see a bald eagle last time. I love this area! Thank you for your inquiry. Please call the shop for kayak tour scheduling.